Consistent with our Core Values, X-Pools recommends sustainable products and systems for our client’s pools, spas and water features. The benefits of reduced chlorine usage by utilizing our clean and sustainable products means cleaner water, no chlorine smell, bleached clothing, hair discoloration, and has less negative impact on the environment. X-Pools’ clean and sustainable products have been utilized on my pool since 2009, let’s make yours the next. Clear Comfort offers cleaner, healthier, sustainable pool treatment inspired by nature, backed by science. Using Clear Comfort’s home pool system, we bring you sustainable, healthy effective pool treatment using technology that mimics the way our atmosphere cleans our air. Ozone (O3) consists of three oxygen atoms. It is produced in nature by sunlight and lightning. Ozone is a very reactive gas that causes the clean-air smell after a lighting storm. Ozone actively breaks down non-living waste products in pool water. Use of ozone reduces the demand for pool chemicals by up to 70% and allows the chlorine in the pool to work more effectively as a disinfectant. 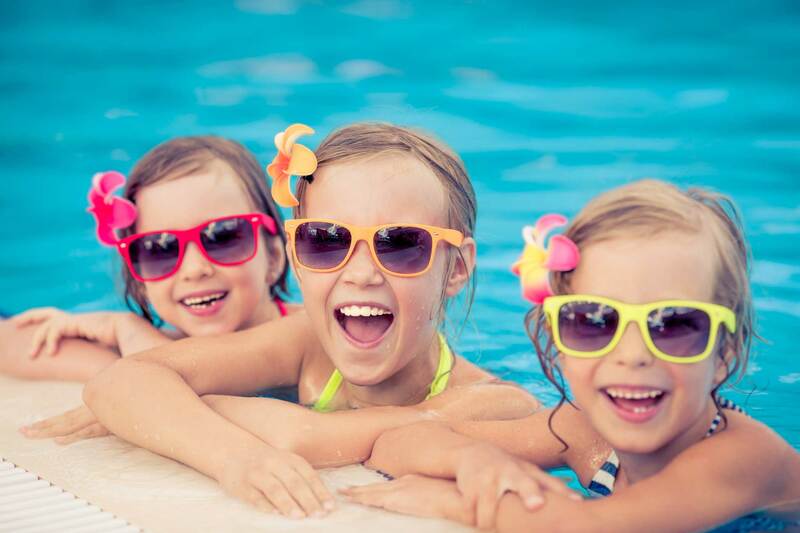 Ozone is constantly shocking the pool water on its own, significantly reducing the need for Chlorine. Silver, used for hundreds of years as a bacteria stat, is our choice for mineral ionization. Copper is also a well known algaecide for swimming pools. A cartridge or vessel is installed in the piping systems. The cartridge must be replaced every 6 months in typical applications. Small doses of silver and copper kills algae, germs & bacteria. Our product of choice is Zodiac Systems Nature2, one of the first mineral ionization systems to be considered a sanitizer by the EPA. By utilizing clean and sustainable products, residual chlorine sanitizer may be reduced from 3-5 ppm to .5-1 ppm. These technologies can also reduce cyanuric acid. Chlorine used for pools and spas has a significant impact on our environment due to its manufacturing process and transportation costs. As well as being ecologically sensitive, these technologies won’t bleach swimsuits or irritate swimmers eyes. A highly effective new line of enzyme (naturally occurring proteins) based swimming pool chemicals has recently been introduced to the pool industry. These all-natural swimming pool products break down harmful organics present in swimming pool water using enzymes, instead of harsh chemicals traditionally used for this purpose. These helpful pool enzymes have no affect on swimmers, and are completely safe to store and handle. Enzymes are also an excellent pool stain remover, if staining is caused by something organic such as leaves sitting on the floor of a pool. Unsightly staining may also form at the water line of swimming pools, and is caused by the oils left in the pool water by swimmers. Enzymes added on a regular basis will eat away at the oils, to eventually remove the ugly water line stain and prevent the stain from returning. A routine maintenance of swimming pools, spas and water features includes treating the water for minerals. With our high evaporation rates in the desert, critical mineral levels increase to levels above industry recommended standards relatively quickly. High minerals can create difficulties with chemical balancing, water clarity, and potential staining. It is generally recommended that swimming pools in the desert are drained every 2-5 years or as the mineral levels dictate. Low mineral levels assist us in providing you with our “X-Traordinary Care” for your pool, spa or water feature. There are currently 2 options available to refresh water, either by draining and refilling or a relatively new process called Nanofiltration. Draining and refilling with fresh (tap) water includes use of a sump pump to drain to a sewer clean out, refilling and rebalancing chemistry. This would also be the time to complete interior repairs or cleaning of the vessel interior surface if required. Nanofiltration is portable Reverse Osmosis for large bodies of water. A RO machine is placed near the vessel for upwards of 72 hours to filter out minerals and metals. The process does create waste water into the sewer clean out of approximately 25% of the volume, depending on the level of minerals in the water. After either treatment rebalancing chemicals must be added to the water. If a salt chlorine generator is used, salt must also be added back into the water. Consistent with our Core Value of “Ecologically Sensitive and Active,” we prefer Nanofiltration in larger vessels to save water. Additionally, Nanofiltration generally filters out minerals to levels cleaner than most tap (refill) water. A revolutionary new product, Sphagnum moss conditions water by reducing organic contaminants and increasing the efficiency of chlorine so operators can lower residual chlorine levels and eliminate chloramines. The result is less chemical usage, crystal clear water and a healthier swimming experience. We recommend Sphagnum moss for all commercial facilities. Please click here to read a PDF detailing all the benefits of this exciting new Green product.